Are you tired of creating YouTube videos nobody watches? I bet you are. After all, it can be a pretty soul-destroying feeling. You pour your heart and soul into a video and upload it, filled with hope that this is the one, only to see that the same handful of people have tuned in. No matter what you try, it just feels like you can’t move the needle, doesn’t it? In this article, I want to show you exactly how to get more views on YouTube for free. There are no crazy tactics. No extreme measures. Just simple, practical, strategies to help you organically grow your channel to where it should be. A viewing loop is a way of keeping people on your channel. And, it’s one of the most effective – yet overlooked – ways to increase your views. It works by prompting people to watch more interesting or relevant content you’ve created and forms a “loop” where people stay tuned into your videos. These are great tools for you as a video creator because you make your viewer’s choice of what to watch next really easy, sucking them into the viewing loop. You’re also more likely to convert a viewer into a subscriber if they’ve watched more of your content. And because we promised to tell you everything about how to get more views on YouTube, we’ll explain how to do these do things on your YouTube videos. The first step is to create a clickable link in your video whenever you mention a topic you’ve covered in a different video. Let’s say you’re a travel vlogger. You’ve created a video about your latest trip to Iceland. In that video, you mentioned you brought your new Fjallraven winter jacket with you. Funnily enough, you have a video about choosing a travel-friendly winter jacket. You can create an in-video link which prompts people to click if they’re interested. 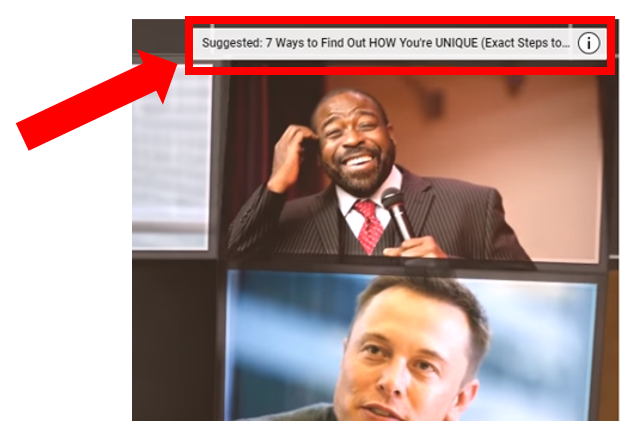 You can even say “click here” in your video to encourage people. 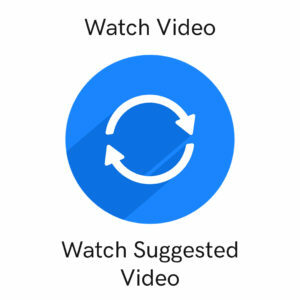 “Watch next” suggestions come either at the end or at a specific time, in your video. They should be relevant, interesting and have at least a loose connection to the content they’ve just watched. To stick with the travel vlogger example; if a viewer finishes your video about Iceland, it might be because they’re planning a trip to Scandinavia or they like hiking in the great outdoors. This is your opportunity to share a video which intersects with the intent behind their viewing choice. Suggest the right video and they’ll be drawn to stick around and watch some more. Although he suggests not to add this to the end of the video it’s really worth taking advantage of the space there. YouTube is the world’s largest video search engine. Basically, it’s the Google of videos. If you’ve been thinking about how to get more views on YouTube for a while, this could be where you’re struggling. Being able to optimize your videos so they show up in searches can attract hundreds, if not thousands, of new viewers to your videos. In fact, YouTube Employee, Tom Leung, says it’s key to getting your videos seen. If this sounds like it’s going to be too technical, don’t worry, it’s not. How about we look at an example to see what I mean? Let’s say you were looking to change a bike tire. You’d pop over to YouTube and search, “How to change a bike tire”. You can see this video is a great match for your search. The title is a great match for your search, and the thumbnail is accurate to what’s included in the video. To capitalize on this you need to have an understanding of the problem your video solves and the keywords your viewer is going to search. Although you’ll need to figure out the answer to these yourself, there are tools to help you uncover the keywords people are searching for, such as Keyword.io. 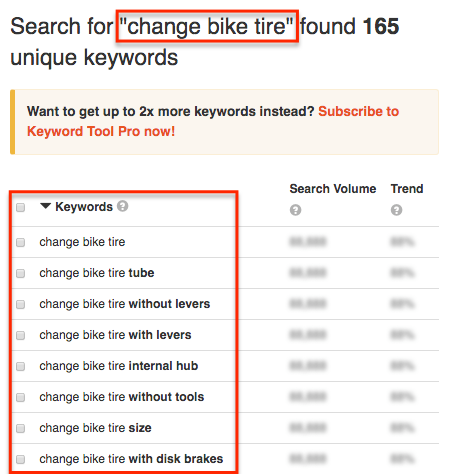 All you have to do is pop the problem you think people will search for into their search bar, and it will suggest keywords for you to use. You can then add these keywords to your headlines and descriptions, in a way which sounds natural, to optimize them for searches. As for your thumbnail all you really need to ensure if they aren’t clickbaity. You aren’t trying to trick someone into clicking; Instead, you’re setting the expectation for what they’ll find when they do click through. 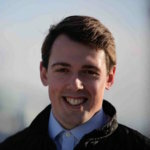 If you want to learn more about how to take advantage of YouTube SEO, I recommend you watch this video of Brian Dean. It’s a long one, so grab a coffee first! There are lots of people fighting for attention for the major topics in almost every niche. And, only the top few percent are winning. If you’ve ever tried to create a video around a popular topic or trend in your niche – like a video game or a seasonal makeup tutorial – you’ve probably felt the effect of this. But what makes this so hard? These are the areas where only the big and well-established channels can be seen. So, what are you supposed to do? You should focus on the long tail of YouTube. The topics with fewer searches, but also fewer pieces of content to compete with. If you’re a runner everyone is going to creating videos and talking about the new Nike Pegasus shoes, so why try and compete? Instead, create a video about the latest New Balance! There are still people looking for videos about these topics and they’re not finding any. Which makes it your job to create them. It could be the difference between 500 views from a short tail term, or 15,000 from a long tail one. If you can get seen, and create the content people are looking for, it’s a win for you. Let the others battle it out amongst themselves. When you’re next looking for a video to create, do the opposite of what everyone else is doing. It’s in these less explored areas you’re likely to find your next big hit! One fatal mistake people make when trying to get more views is forgetting the people who are already watching their channel. 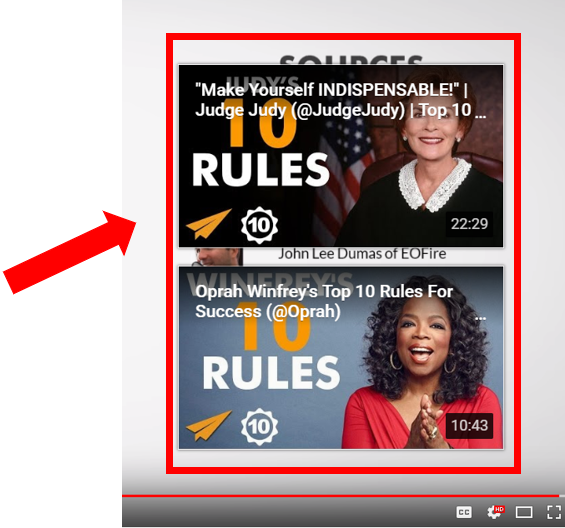 To decide which videos get recommended to other users. The more positive these metrics are, the more likely they are to show up as suggested videos and in searches. For example, high likes – which you can directly ask for as a call to action in your video – can have a direct impact on how many views you get. But there is one metric in particular you need to focus on. “Your content benefits when it leads viewers to spend more time watching videos – not just on your channel, but anywhere on YouTube. That means the longer people watch the more exposure you’re going to get. But how do you increase watch time? Well, there are a number of ways. I’m going to split them up into technical and verbal for ease of reference, with technical focusing on the quality of your video and verbal focusing on how you speak. YouTube isn’t a zero-sum game. What do I mean? It’s not you against the other YouTubers out there. You aren’t at loggerheads fighting for the same audience. Instead, it’s a community, and you’re all trying to help, education or entertain people. So why not work with each other to create a big win for the both of you? Benny is the world’s foremost blogger and YouTuber on the subject. He has the largest following and they’re pretty well engaged. Lindsay, on the other hand, has a smaller audience. By working on this video together, Benny gets a solid piece of content to share with his audience. His workload has been lightened and his posting schedule a little padded out. Lindsay is able to be seen by a much larger audience. A percentage of who, if she performs well in the video, will jump over and become part of her audience as well. She’s also picked up a little networking power with Benny. This method is really simple and you’ll be surprised how many people are willing to collaborate with you. Creators always need more content and want to be seen as active in their community. If you want to use it yourself, simply identify people in your niche you could collaborate with and flesh out some ideas for ways you could help them! Be sure to pitch them with a well thought out, attractive idea, and not just a “wanna do a video? Lmk.” message. If I asked you to think of the type of video content you create, you’d probably go right to the style of video. You know, is it a tutorial, a vlog, a list or something else. But how often do you think about the type of purpose your content has? By becoming aware of this – what your content’s goal is, and why – the more you can grow the YouTube views you generate. If you’re like me, and many other YouTubers, you’re great at making community content. The stuff that engages the people you’ve already converted to your cause. You know your niche inside and out and, because you’re passionate about it, you can create stuff which helps them. But this is often why we often find ourselves reading articles like this and wondering why we can’t get more views. Because we forget to create the discoverable content. Let me show you some examples from Smart Passive Income’s Pat Flynn to illustrate what I mean. This video from Pat is what I’d consider community content. And, it’s probably similar to some of the videos you’re creating right now. It’s made to meet a need he knows his audience has, namely building a business by design. It’s for people who already know they want to start a business and need more advice. The headline isn’t catchy and, at 25 minutes long, it’s unlikely to go viral. You can even see in the short description next to it, it’s not really targeting a keyword. The headline is catchier and it’s clearly targeting someone who isn’t aware of Pat yet. They’re at the start of their journey and need something a little “lighter” to start them off. This is the kind of video you see regularly pop up as a suggested video on YouTube, and that was exactly the purpose it was designed for. It does a little teaching and makes you aware of what’s possible if you were to follow Pat for more information like this. If so, it’s time to get around to creating some well-polished discoverable content. Take the top-level problem your channel is going to solve and create something unique and shareable around it. Look to create a video which, if someone found it, they’d be intrigued to know more about you. This may take a few attempts, so don’t be disheartened if you don’t get it straight away. Just keep plugging away at it. You can also read our guide on how to create a killer YouTube video to help you do it! I hope by now you’ve figured out how to get more views on YouTube, and you’ve got a few methods you want to try. As long as you’re focused on creating a positive experience for your viewers, optimizing your videos, collaborating regularly and recording discoverable videos, you’ll be on the right path.